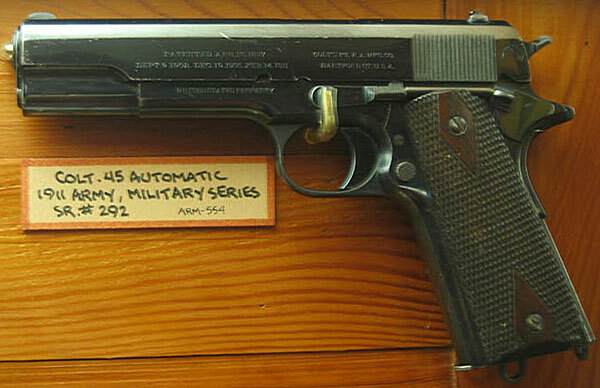 Model of 1911 U.S. Army serial number 292 (circa. 1912) Pistol features early high polish finish and fire blued small parts. This pistol was one of 200 shipped February 3, 1912 in the third shipment to Springfield Armory.